They are heartbreaking, moving stories showing strength and determination. Astonishing tales of Jewish immigrants who made Scotland their home have been brought to life in a series of short films. 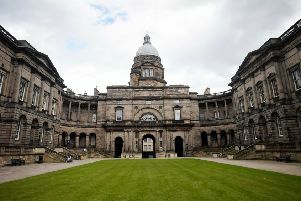 The work of the Universities of Edinburgh and Glasgow, the five films focus on where these people came from, when and how they arrived, and their new life in Scotland. The films have been produced as part of Jewish Lives, Scottish Spaces – and include fascinating figures from across all walks of life. People profiled include a former cantor at Garnethill synagogue in Glasgow, Isaac Hirshow, and businesswoman and campaigner for the Jewish community in Scotland, Annie Lindey. Also featured is 94-year-old Henry Wuga, who speaks regularly at schools and public events in the UK and in Germany, and author Dorrith Sim, who has written a book about her childhood journey in 1939 from Germany to her new home in Edinburgh.